ndian Prime Minister Manmohan Singh, who is under pressure to miss a Commonwealth meet in Colombo over Sri Lanka’s alleged war crimes against Lankan Tamils, may consider including Tamil-dominated Jaffna in his itinerary as a compromise formula. The Indian foreign ministry has reportedly proposed a visit to Jaffna in northern Sri Lanka as a way out of Dr Singh’s dilemma after Tamil Nadu politicians, including his own ministers, said he should boycott the November 15 meeting in Colombo to respect Tamil sentiments. The formula to placate protesting Tamils gained ground as Union Minister ENS Nachiappan, who is an MP from Tamil Nadu, said the PM must visit Jaffna. “India is spending Rs. 56,000 crore for Tamil resettlement in Lanka, PM must visit to see that it is reaching them. I request that he visits Jaffna and Colombo. People will welcome the visit,” said Mr Nachiappan, Minister of State for Commerce. Three other union ministers from Tamil Nadu - P Chidambaram, Jayanthi Natarajan and GK Vasan - are reportedly against the Prime Minister’s visit. Mr Chidambaram, say sources, favoured sending a government representative instead. 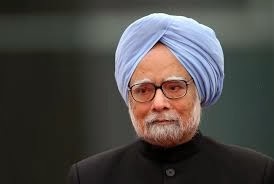 Sources say the foreign ministry and the PM’s office are keen on Dr Singh attending the meeting of the leaders of the Commonwealth nations, as they believe that India should continue engaging with Sri Lanka to push the Tamil cause. Last month, the Tamil Nadu assembly unanimously adopted a resolution that said India must boycott the session to register its protest against the Sri Lankan government’s failure to investigate and punish those who allegedly persecuted the island’s ethnic Tamils in the final phase of the civil war that ended in 2009. Karunanidhi, the leader of regional party DMK, had last week warned the PM of ‘consequences’ for his Congress party if he went to Colombo, saying “not even a speck of dust should go”. The DMK quit Dr Singh’s coalition in March, accusing it of failing to take a strong stand on Sri Lanka. The Prime Minister said recently, “We will consider the sentiments of the Tamil people.